The John Paul Mitchell Systems Awapuhi Farm was established over 25 years ago by Paul Mitchell and John Paul DeJoria. Paul Mitchell came to Hawai’i after leaving a successful career of styling in England. Meanwhile, John Paul DeJoria had decided that he was ready for a career change after reaching the limit of what he could accomplish with other hair care companies. They were each in search of something new and different. Together they created John Paul Mitchell Systems. While pursuing a lifestyle that was more connected to nature and more in tune with their beliefs, they purchased the land in Pa’auilo, Hawaii that would become the Farm, and were inspired by the lush natural beauty, and the abundance of edible and medicinal plants. 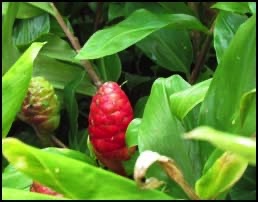 When they learned of the wild ginger that native Hawaiians had used for centuries to soften and condition their hair, Paul and John Paul decided to grow this plant on the Farm and use it in their line of hair care products. This was the beginning of the John Paul Mitchell Systems Awapuhi Farm. 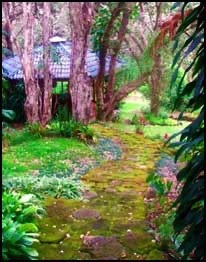 On your tour, feel free to stroll around the beautifully landscaped grounds, including our organic vegetable garden. 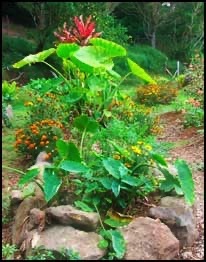 The garden is home to some long-term heritage plants like taro, sweet potato, turmeric, and sugar cane, as well as the more traditional garden plants like potatoes, beans, corn, carrots, and a variety of flowers. In addition, you will find various citrus, avocado, and tropical fruit trees growing all across the grounds of the Farm. Depending on the season, you may be able to harvest some fruits and vegetables during your visit! Awapuhi is a perennial plant; it dies back each winter, and grows anew in the spring. 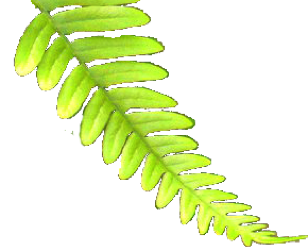 The leaf stalks are the first to emerge, growing up to three feet tall with several blade-like leaves on each stalk. 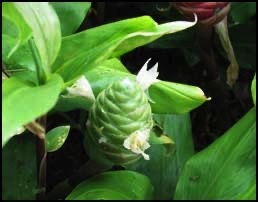 During the summer months, the flower stalk emerges from the soil, rather than growing from the leaf stalk as one might expect. The flower is club shaped with overlapping scales that fill with liquid as the flower matures and turns red. After the flower dies in the fall, the roots are harvested and dried for later use (see the Solar Dehydration Shed page for more on this). The Awapuhi Farm operates completely off-grid, which means that our facilities are not connected to the “grid” of the power, water, and telephone lines. All of the energy to power the Farm is produced right here on our land. With photovoltaic (solar) panels we can harness the sun’s energy, which is then stored in batteries for later use. We also have a back-up generator to supply energy to high-powered items. Our appliances and hot-water heaters are powered by propane gas. The water that supplies our facilities is rainwater that has been collected in catchment tanks and stored for later use. There are no telephones here at the Farm, and cellular reception is limited to certain areas. Wireless internet access is available in and around the hales. What this means for you: On your tour, we encourage you to consider the energy and resources that you use in your daily life: hair dryer, coffee maker, television, stereo, computer, telephone, shower, dishwasher, etc. Which of these things are absolutely necessary? Which of these things could you cut back on? Which of these things could you do without for a little while? We encourage you to simplify your life during your tour at the Farm, and tune in to a more nature-based style of living. This is simple living at its finest!